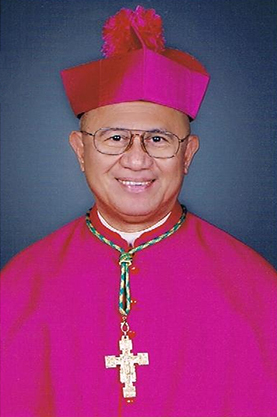 Archbishop Teofilo Camomot | Arch. Jose S. Palma, D.D. The life and ministry of the Servant of God Bishop Teofilo Camomot until today continues to inspire Christ’s faithful. His “life of self- abnegation, constant prayer, and generous love for the poor and the needy” remains a relevant challenge for every Christian believer. Thus, we feel an urgency to intensify our information dissemination about this Holy Bishop, which we have begun through the reproduction of stampitas, the inclusion of the petition for the beatification in the Prayers of the Faithful printed in Mag–Ambahan Kita, and the ongoing Duaw Camomot at his tomb inside the Daughters of Saint Teresa Convent in Valladolid, Carcar City. Moreover, as Pope Emeritus Benedict XVI has acknowledged the development of the digital world and considers the Internet as the “new ‘agora,’ an open public square in which people share ideas, information and opinions, and in which new relationships and forms of community can come into being” (Message for the 2013 World Communications Sunday),thus, aside from the print media, we also have to make use of the digital media in promoting the life and ministry of Bishop Camomot, for it does not only widens our reach but it also creates and fosters relationships among us. 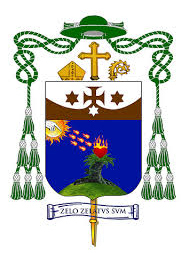 And so, I commend the Archdiocesan Commission on the Beatification of Teofilo Camomot and the Daughters of Saint Teresa for coming up with the official website,which aims to spread and increase information on this saintly Bishop. Finally, in the same message, Benedict XVI tells us that in the digital media, “it is not only ideas and information that are shared, but ultimately our very selves.” As we browse through the contents of this website, I hope and pray that we do not only become more knowledgeable about Bishop Camomot. Rather, may this website also assist us in sharing our very selves with others especially the poor whom Bishop Camomot has served well during his lifetime.